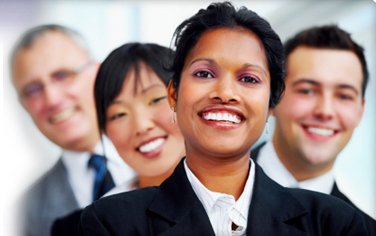 Professional Communication Training and Corporate Accent Modification Training| Northern Virginia, Washington, DC and Maryland - SPEECH FOR SUCCESS, LLC. Success in the workplace relies upon clear, effective communication. That's why we design and provide the most comprehensive, results-driven communication training programs for professionals who speak American English as a Second Language (ESL). Create advancement opportunities for your employees now! Find out how SPEECH FOR SUCCESS can benefit you and your organization. We offer personalized communication programs for corporations, organizations, and individuals.. SPEECH FOR SUCCESS has successfully implemented programs at Fortune 500 companies. Accent: Simply stated, an accent is a term people use to define someone's speech that sounds different from their own. Foreign Accent: Results when an individual applies the speech sounds or grammar rules of his or her dominant/native language to another language. For example, an American speaking Spanish to a native of Mexico would be perceived as speaking Spanish with an “American” accent by the native Mexican. Conversely, a native of Mexico would be perceived by an American as speaking English with a “Spanish” Accent. Regional Accent or Dialect: Every language has several spoken variations, determined by geographical or cultural boundaries (e.g. Southern English vs. Brooklyn English, teenager slang). These variations can affect pronunciation, vocabulary, grammar, and social usage. Countries typically place higher value on one dialect over the others and this dialect becomes the standard (e.g. Standard American English). Standard American English: A dialect or subset of American English that is formally used as a benchmark for written and spoken media (i.e. radio announcers, television newscasters, newspapers & magazines) as well as the education system in the United States. Accent training is often referred to as Accent Modification, Accent Remediation, and Accent Reduction. This specialty area of communication training is beneficial if features of a person’s native or dominant language negatively impacts his or her ability to speak other languages or dialects effectively. For example, one may mispronounce words, use incomplete grammar forms, or utilize vocabulary incorrectly, which results in miscommunication and workplace errors. Some individuals purposefully choose to adopt a new accent for professional gain although no miscommunication has occurred (i.e. actors). Accent Elimination: A truly effective speaker will successfully impact an audience regardless of his or her accent. It is not necessary or realistic to completely eliminate an accent. Doing so would be tantamount to attacking a person’s cultural identity. Non-Native English Speakers: Those people who speak “American English” as a second (or third...) language. They may or may not be citizens of this country and may have been speaking English for several years.